Dr Genilloud, Scientific Director and Area Head, Microbiology, has more than 25 years of extended experience in the discovery of novel small molecules derived from microbial natural products both in the academic (Hospital Ramón y Cajal (Spain) & Harvard Medical School, Boston) and in the pharma sector (MSD, as leader of the Bacterial discovery group). 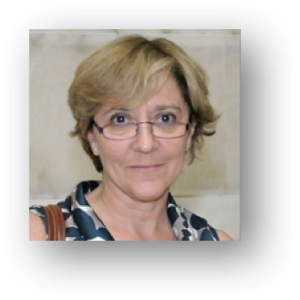 She has PhD in Chemistry (Biochemistry and Molecular Biology) from the University Complutense of Madrid and a solid background in industrial microbiology with expertise in bacterial molecular biology and bacterial taxonomy, microbial physiology, and production of secondary metabolites. She has more than 90 publications and book chapters, and is inventor in 18 patents. Fundación MEDINA is a non-profit public-private research organization focused on the research of novel bioactive microbial natural products (NPs) leveraging the inherited experience in drug discovery from Merck Sharp and Dohme Spain, with proven track record of discovery novel antimicrobial molecules with novel MOAs. The research group is skilled in industrial microbiology (exploration of novel diversity, high throughput miniaturized fermentation and scale up production), NPs chemistry (isolation and structural elucidation, and NPs MS profiling and dereplication), and cutting-edge HTS screening technologies and robotics (www.medinadiscovery.com). MEDINA’s antimicrobial discovery activities are focused on the screening of its unique microbial collection (120,000 strains) and natural products libraries (130,000 extracts) and HTS capacities, including target-based and whole cell-based models (HCS) for assay development and validation. In addition MEDINA has unique strengths in high throughput analytics, ADME-tox and bioanalytics. Genilloud, O, Vicente F. 2013. Strategies to discover novel antimicrobials to cope with emerging medical needs. In Antimicrobials. New and Old Molecules in the Fight Against Multi-resistant Bacteria, Marinelli and Genilloud Ed., Springer, Germany.